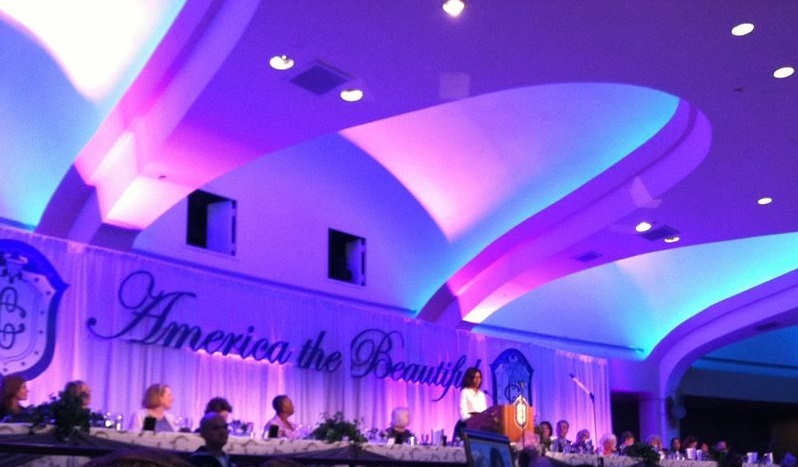 ISH was represented at The Congressional Club’s annual First Lady’s Luncheon honoring First Lady Michelle Obama on May 1, 2014. The 102nd annual luncheon was attended by ISH resident Chimdi Onwudiegwu from Nigeria who is completing her Master’s Degree in International Affairs in Johns Hopkins University’s School of Advanced International Studies. Chimdi’s participation was made possible by ISH Board member Betty Ann Tanner, whose husband, John Tanner is a former Congressman from Tennessee. In her address, Mrs. Obama emphasized the importance of education. She noted the significance of cultural exchange and stated that The White House will be shining a brighter light on education. The First Lady discussed her Reach Higher initiative, an effort to inspire every student in America to pursue education beyond high school. 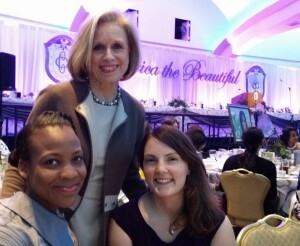 Board member Annette Aburdene and Development Associate Marie Pius also attended.